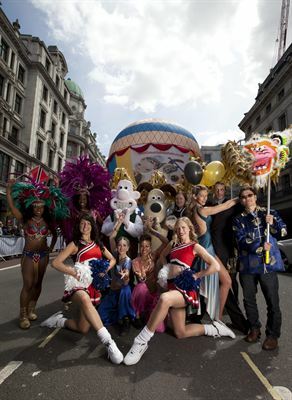 Today, Regent Street, London W1 joined with countries from across the globe to celebrate ‘InsureandGo - The World on Regent Street’. Regent Street became traffic-free and transformed to showcase the best of each country’s culture, music and dance, art, food and fashion as well as its impressive selection of international brands. ‘InsureandGo - The World on Regent Street’ welcomed destinations including: Argentina, Egypt, Great Britain, Trinidad and Tobago and Turkey with further cultural representation from Chinatown who offered fantastic food, drink, activities and entertainment set against the backdrop of Regent Street’s famed British architecture. Throughout May, there is a schedule of events including in store activities, special menus and competitions on Regent Street. Sister, a creative multi-channel communications agency that strategically integrates public relations with marketing, advertising, social media, digital design, web development, music and film production.